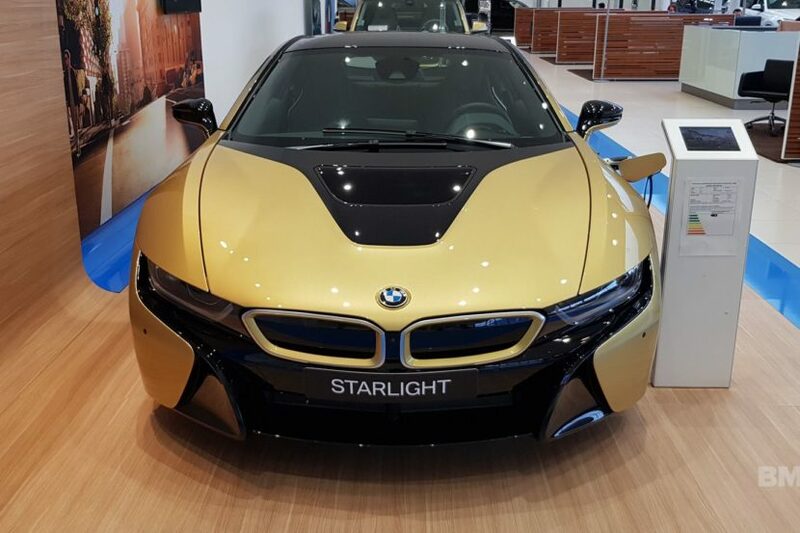 Earlier this year, BMW Group Czech Republic has prepared an exclusive edition of the BMW i8 and BMW i3, dubbed STARLIGHT Edition. The cars feature a unique two-tone design, in which the golden front passes smoothly into the black trim. The transition is reminiscent of the shining stars of the night sky, which is also the name of the edition. The cars were designed in collaboration with painter Miroslav Špičák and designer Zoltán Matuška. The uniqueness of the STARLIGHT edition is based on the use of gold dust with a purity of nearly 24 carats. There is a total of 2 kilogram of gold on each of the two special model. The golden ambience of the Starlight Edition is also featured behind the wheel. Selected interior elements, such as the center panel, the ventilation exhausts and the steering wheel logo are finished in gold paint. In addition, also the door sills use the special lettering “BMW i8 / i3S Starlight Edition One of One” to highlight the exclusiveness of both cars. This week we learned that the BMW i3 and i8 Starlight Edition will be put up for auction in the near future starting at 10 million CZK for both cars, around $435,000. Money will be donated to the foundation of Mr. And Mrs. Havel, important liberators of Czech Republic during the period the wall fell in Eastern Europe. Havel’s Civic Forum party played a major role in the Velvet Revolution that toppled communism in Czechoslovakia in 1989.